of Adorable Bunnies right Now. to buy our line of Organic,Super Foods and Treats for All Bunnies! the "American Rabbit Breeders Association" . Are you looking for something Unusual?, a RARE breed of Bunny? believe it's Real? Well - you found it!! American Fuzzy Lops! The small, gentle, rare bunny with the softest coat you ever felt! You can get on our list with $100 Pay Pal Deposit! Or Wait till Late May and re-email us. to get your new, sweet pet !!!! Total Price of Bunny is just $150. The perfect pet for Working Families! If you do not use Paypal, email me and I will send you our address to mail in your deposit check. Welcome to Sweet Dream Farm and "Go Bunny Treats". This is a VERY RARE, Specialty Breed for those looking for a VERY SMALL, 3 - 3.5 pound Gentle, Calm, Sweet, Non-Nipping, Beautiful Rabbit with a Soft, Amazing, Fluffy Coat. they are made to order to be extra fresh! We want all of our bunnies to go to a FOREVER, safe and loving home so for that reason we reserve the right to refuse a sale. All Sales are final. Our bunnies are in good health and we are not responsible for them once they leave our care. Bunnies can live 9-12 years, so this is a long term love and care commitment. 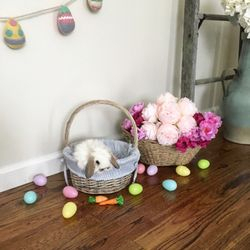 IN THE EVENT THAT A BUNNY ON RESERVE UNEXPECTANTLY DIES A REFUND (typically your deposit) WILL BE ISSUED OR YOU MAY PICK FROM ANOTHER AVAILABLE BUNNY. I Would Recommend using that Deposit to get on the NEXT Waiting list for Bunnies. DEPOSITS are NOT REFUNDABLE if you change your mind and don't want one of our bunnies. ​​Visits: ​We are a closed hobby rabbitry, we are NOT a pet store, so any visits are made by appointments ONLY. Please note: We as the breeder have first rights on any bunnies we'd like to keep to add to our herd. This typically will include colors that I rarely get and will opt to keep or allow bunny to grow up beyond the 8 weeks. Allergies are sadly a HUGE reason why people don't purchase rabbits, I urge you to please get yourself allergy tested for rabbit dander because if you are allergic to dogs and cats you will more than likely be allergic to rabbits. Hay allergies can also be masked as a pet allergy. to get more attention, since they are a social rabbit. rubbed, watch T.V. with you, and played with! We have a potty in each cage so the babies can start to use a potty!! make sure you purchase one for your home cage!. They are RARE BREED - They sell FAST!" After you email us (sweetdream@optonline.net) and we tell you IF we currently DO have bunnies available, if so, you can reserve a bunny immediately! Please RESERVE your RARE BREED. The Price of this sweet, calm, rare bunny is just $150. We make our price reasonable so most families can enjoy this terrif breed! To RESERVE a bunny please send an $100 deposit using Paypal. Please go thru the "FRIENDS AND FAMILY" section when sending the deposit or I will need to charge you their processing fee. and then please email me to let me know you are sending it. thanks! When you send the deposit, please include your name, address, phone # and what colors you might be interested in, (if you have a preference or not). At bunny pick up time, the $50 balance is paid in CASH ONLY. recommend your purchase them as well. 1. At least 1-2 BAGS of our 2nd Cut sweet Hay that the Bunnies are used to eating. 3. One of our two fun Cookie Mixes - You BAKE for your bunny! Super simple! I will email all the new owners pictures of the bunny they chose at about 3 weeks of age so you can choose the one you love!! Each litter has different colors as you can see from our pictures. They are sweet Fur Balls that are so gentle & friendly and Small! MALES & FEMALES are EQUALLY Sweet and Gentle. All Colors are the SAME PRICE - not like other breeders. American Fuzzy Lops are the PERFECT, SMALL, GENTLE Pet. They are "Non- Biters" and have a Sweet Temperment. The PERFECT pet for Working Families! They can be left alone during the day and when people come home, your bunny will be well rested and ready to play with you! American Fuzzy Lops need DAILY grooming when you purchase them and then for a few months till all their Adult fur comes in. You can cut out potential knots or have a groomer shave the bunny's Baby fur and have the adult fur grow in. Adult Fur is soft and drapes over the bunny. As adults, the fur should be Combed out 2-3 times a week, giving special attention to the rump and tail area. This is a Beloved Hobby of our family we take very seriously annd with great pride and love. Our Bunnies are Loved, and Handled Daily from BIRTH to make sure they are social, friendly, Loving pets, plus they do NOT have an aggressive behavior like some other breeds. Our Bunnies have a potty/litter pan in their cages, so they start Potty Training by us!! Keep it up by purchasing a potty pan with a WIRE cover like the one listed on the next page. Be persistent - they will train! Our Bunnies are Pedigreed and PUREBRED, and we are members of ARBA (American Rabbit Breeders Association) and AFLRC.weebly.com (American Fuzzy Lop Rabbit Club). Fuzzy Lops (if not overfed) only grow to about 3 - 3 1/2 pounds. They are a small, very soft, gentle breed which makes them perfect as a family pet. Their soft fur, beautiful colors and adorable floppy ears make them irresistably cute!! bunnies. Here is my professional opinion. 1. You want the bunny to bond to your family - not another bunny - get 1 rabbit. You want the bunny to become a part of YOUR family, not a rabbit family. 2. Each rabbit cage or hutch holds just ONE bunny. If you get 2 rabbits, you need the space for it. 3. I sell bunnies not based on Gender, but based on what color you want. It is hard to be 100% sure of the gender until it is a few months old. There are BIG issues in putting the wrong genders together. A. 2 males will fight with each other as they grow older, even if brought up together. B. Females are VERY territorial with their home, it's a natural instinct. If 2 females are together they will growl & chase each other around and fight too. C. If you have 2 seperate cage and take them out at the same time to play with them, which you would want to do, they really need a big space and be watched so no one gets beat up. D. There are MAJOR problems in getting a male and female bunny - even if you put them in seperate cages. The female will growl, bite and lung at the male, because the male will be trying to mount it and breed with it constantly!!!! It takes literally a minute for them to breed. The male will try doing this 24/7 which will exhaust him and make the female miserable. E. You DO NOT WANT BABY BUNNIES BORN. It is a 24/7 job and is NOT at all like taking care of ONE "sweet pet rabbit you will buy from me". Our female rabbits are very docile, but when they are bred, pregnant and then mothers of their kits (baby bunnies), their hormones and natural protective nature kicks in & they go into "normal but fierce Protection mode". They become super aggressive and can be dangerous to a non professional breeder. They also require a HUGE amount of care ALL day long. Plus not all newborns survive so this is not for the faint of heart. No babies will survive with an inexperienced breeder. You will NOT be able to purchase a male and female bunny from me. I ONLY SELL MY BUNNIES FOR BELOVED PETS, not as Breeders. F. For all these reasons and more, you can purchase one bunny from us, love it, give it tons of attention, teach it tricks and enjoy! G. Your Vet can Neuter a male bunny starting at 12 weeks of age. A female can be spayed at 4-5 months of age.